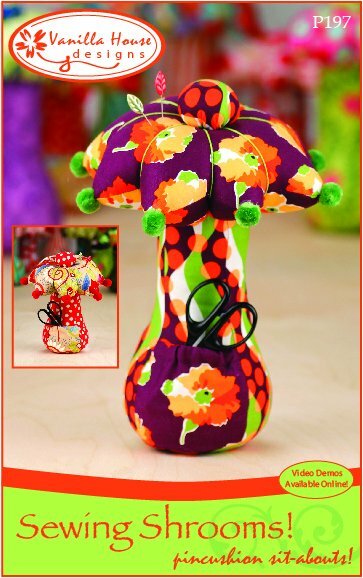 Pincushion sit-abouts complete with a pocket for your little scissors These cute mushrooms will make your sewing room absolutely charming! This pattern includes four QR codes for brief online video demos! Shroom sizes short 8" X 8" and tall 8" X 10"